Finish your seminar full of atmosphere or clear your head: Immerse yourself in the fascinating world of sounds. They have a beneficial effect on the body and psyche. Listen to the archaic sounds (sound bowls, gongs, ocean drums) and focus inwards. Go with the flow and relax, immerse yourself and let go to allow the new. 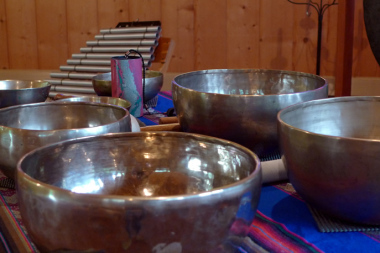 Sounds and oscillations will relax you, open your consciousness and sharpen your perception. The Plattenberg is a former slate quarry where you are sure to be impressed by what has been created by human hand. The quarrying of the slate has resulted in passageways, chambers and caverns inside the mountain which creates a unique atmosphere − the guided tour promises to be exciting! In this special and unique place it is quite an experience to immerse yourself in the world of sounds. Close your eyes, listen and go on your very own journey − accompanied by gentle and flowing yet also very powerful sounds. You will hear for yourself − it is a unique acoustic experience! First, you will go on a short walk (200 metre altitude) to the entrance of the Plattenberg which will be followed by a guided tour through the Plattenberg, sound experience inside the mountain, aperitif in the Plattenberg hut (if requested) and then the return walk. The sounds help to bring the unbalanced functions back into harmonic unity. They look amazingly fast and precise as they immediately penetrate every single cell and structure. 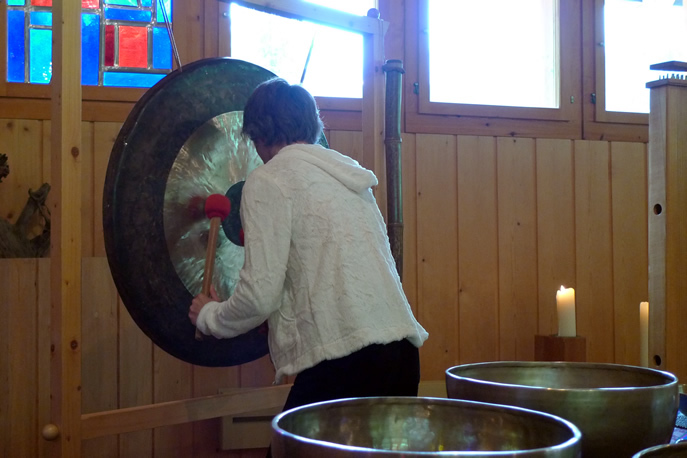 A sound journey is therefore also ideal as part of a seminar for relaxation, regeneration and process accompanying. In the mountain: guided tour through the Plattenberg with meditative sound experience with Claudia Müller. 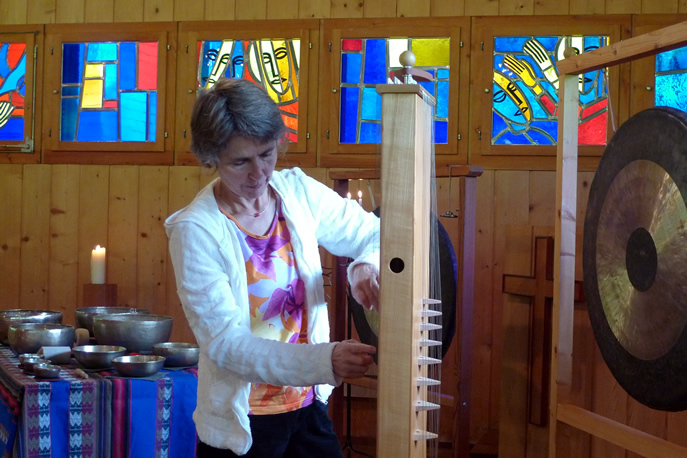 As part of a seminar: meditative sound experience with Claudia Müller. A good venue is also the church in Matt. The church was probably built in 1497 and is the oldest preserved church in Glarnerland which also has a notable late Gothic wooden ceiling. Casual clothing, sturdy shoes (hiking shoes), jacket (low temperatures and high humidity inside the mountain).